How's your company's social media presence? Do you make posts and interact with your audience every day? Or maybe you've got an old company Facebook page covered in cobwebs somewhere and you just can't seem to remember the password? The latter is, unfortunately, very common for many businesses. Maintaining social media presence is something that requires dedication and commitment, it can't just be forgotten about or picked up as and when it's needed. Innovative use of social media can do wonders for your brand, but unfortunately, the opposite is also true. A business's social media presence is largely tied in with its branding. Social media is a fantastic channel to use to strengthen your brand and let everyone know who you are and why you're great. But the opposite is also true. A lack of activity on social media, or a poor use of it, can have a large negative impact on your brand. To build a strong employer brand you need social media presence. Moreover, you need people interacting and engaging with your brand. You need those likes, comments, and shares to build activity and interest. Studies show that 63% of job seekers will make their choice of employer based on social media presence. This means that by neglecting your social channels and online branding, you might be losing more than half of your potential applicants. That's a huge implication. In addition, the same study shows that the main way job seekers use social media is to follow and keep up to date with dream employers. These dream employers will gain a good deal of quality applications based on their online branding and social media presence. Without quality social media branding and activity, how can you present yourself as a dream employer? 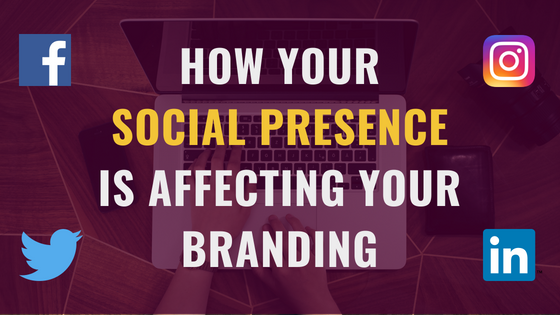 Where Can You Increase Your Brand Presence? So, where should you go to increase your social media presence? After all, there are quite a few social media sites you can use. The answer to this varies depending on your company. It's no good to just randomly choose a social media platform and start posting, you need to do your research first. You need to find out where your audience is and start tapping into them. Sites such as Facebook, Twitter, and LinkedIn have the largest presence in terms of social media promotion for businesses, but even they might not be right for you. Not only do different social sites have different audiences, they also have different purposes, so your content should adapt based on this. If your main audiences are on Instagram, for example, you should understand the importance of posting eye-catching, mobile-optimised images rather than long stretches of text that might be more suited to LinkedIn, for example. Basically, if you don't know what you're doing and who you're targeting, your social media efforts are wasted. The best thing about social media use for businesses is the opportunity for creativity in your marketing. Each social media platform is unique and each houses a different audience, so you've got the opportunity to really find your ideal audience and appeal directly to them on a more personal level. One of the keys to success on social media is standing out in a positive way. Look at what your competitors are posting and where they're posting it. Think about how you can be more interesting, more unique. Have fun with it! Really show your company's culture and personality. Social media offers you a chance to show job seekers that you're more than just another company. You might see top employers posting quality content on social media multiple times a day. These businesses understand the importance of social media presence and the impact it can have. They hire social media marketing executives who take care of this on a full-time basis. This is why their content is such high quality. It requires dedication. 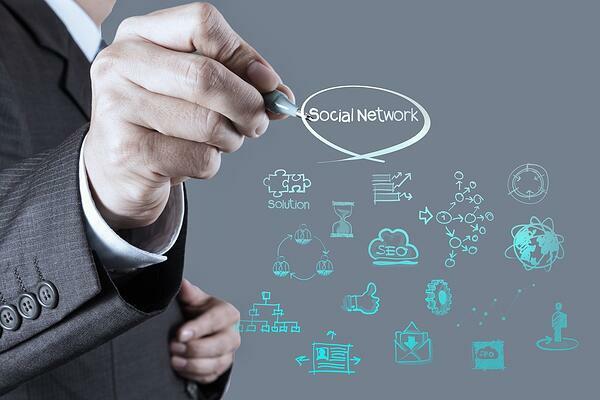 Social media can also be used to directly enhance your hiring process. By advertising jobs on social media platforms in creative ways, you can often attract a range of relevant and high-quality applicants. Be careful not to rely on social advertising though. Studies show that 61% of applicants do not use social media when applying for jobs. This means that using the right job boards is still essential. On the bright side, it also means that 39% of applicants do indeed look at social media when job hunting, so there's no reason not to promote your advertisements through social as well as on job boards, even if it's just a quick LinkedIn post. Essentially, if you devote the time to understanding your audience and how to engage with them, you get back what you put in with social media use. The more you post quality, targeted content, the more noticed you'll get. The more you get noticed, the more likes, shares, comments, and clicks you'll receive. This leads to more interest in your brand and builds a positive reputation, which can do wonders for the response you receive when you're advertising for your next role. Where Should You Be Advertising Your Job? Get all the latest news delivered directly to your inbox. Never miss a story. Copyright © 2018 Hiring Wizard. Try us for the first time and save £100 off any of our packages.